World poverty and development are more salient than ever on the global political agenda. The campaigns of the global justice movement, the growing securitization of development in the aftermath of 9-11, the intensification of global inequality, and the perceived threats of global pandemics, migrations and failed states have contributed to a sense of renewed urgency. 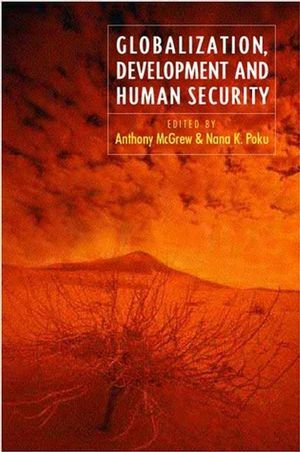 The contributors to this volume, including Bjorn Hettne, Fantu Cheru, Jeffrey Haynes and Bonny Ibhawah, share a common intellectual aspiration to re-unite the study of development with the study of international relations or global politics as it is more broadly conceived today. Although globalization has transformed the context of development, it has yet to significantly transform for the better the prospects for real development or human security amongst the worlds most vulnerable communities. Whether globalization, development and human security are inescapably trapped within a vicious circle or a virtuous cycle is the central concern of this book. Chapter 3 The Heavily Indebted Poor Countries (HIPC) Initiative: Old Wine in a New Bottle? "As a whole, but also in terms of its individual chapter contributions, this collection very much succeeds in telling its readership something important and unforgettable about the changing processes of international relations." "Focusing on key issues of inequality and development such as health, international debt and human rights, Globalization, Development and Human Security provides the reader with sophisticated analyses of the challenges that globalization is posing for development in the contemporary world. Students and interested readers alike will gain from reading this book." "There has been a permanent restructuring of the global political economy, to such an extent that the fundamental ways in which we approach 'development' must be overhauled. This book performs a signal and valuable service in helping us do that. Anthony McGrew's incisive Introduction lays bare an agenda which the book addresses in a series of fine essays." "Globalization, Development and Human Security offers a penetrating and wide-ranging look at the global politics of what used to be called 'the third world' and the ways in which globalization has reframed the development project. It deals with some very established themes ? foreign aid, gender and democratization among them ? as well as HIV/AIDS, human rights and the politics of grass roots contention. A collection to be recommended to students and researchers alike."